Car repair, maintenance and vehicle inspection concept. 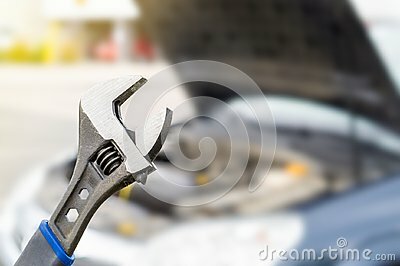 Wrench and a car with under the hood and engine view. Selective focus to fixing tool.